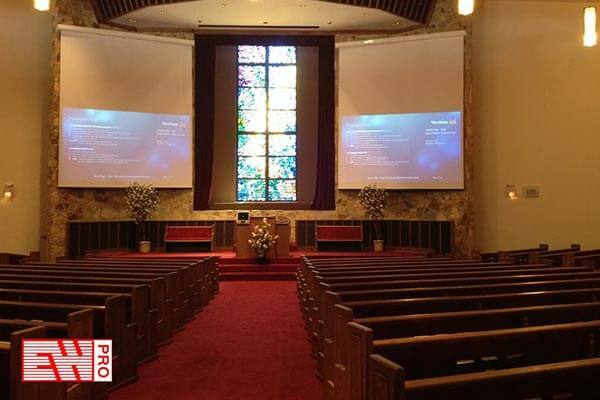 Electronics World serves as a service provider to many houses of worship in our region. From new construction, re-designs, updates, and maintenance Electronics World is your resource for sound reinforcement, multi-media video, lighting control, building automation and audio/video distribution. Our vendor partners understand the needs of a house of worship and accordingly provide us with the equipment and products to completely satisfy our clients' needs, coupled with our expert technical staff, Electronics World is the choice for your house of worship audio/video and networking needs. Our client list includes Holy Faith Catholic Church, St. Augustine, St. Patrick's, North Gainesville Baptist, University City Church and many more.